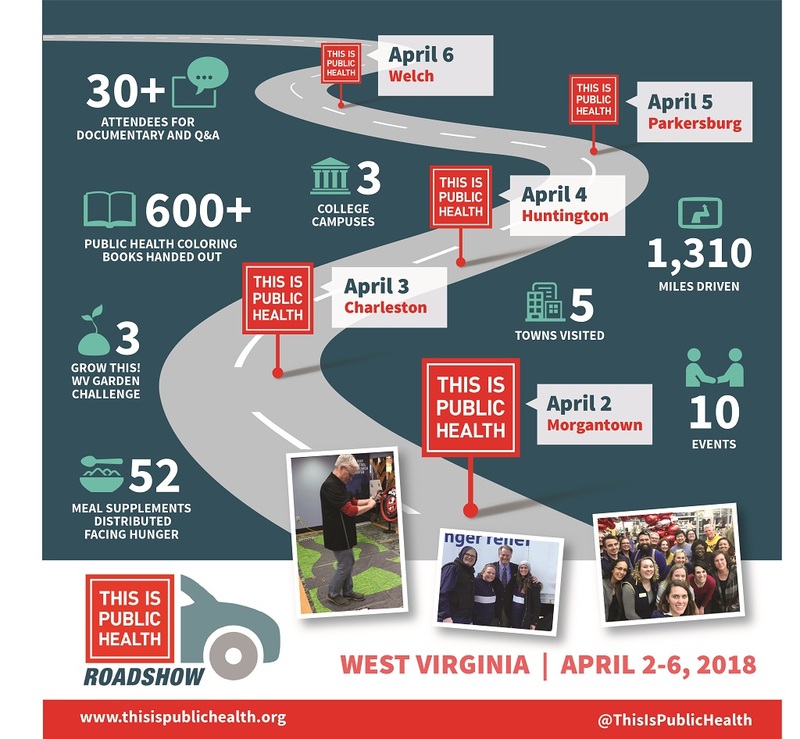 During National Public Health Week, April 2-6, the This is Public Health (TIPH) team will be visiting towns throughout West Virginia for the 2nd annual TIPH Roadshow. The Roadshow promotes public health education and careers, as well as healthy behaviors. The Roadshow will make stops in Charleston, Huntington, Morgantown, Parkersburg, as well as Pleasants and McDowell Counties. Activities are planned for pre-K-12 students, undergraduates, and public health professionals. Be sure to follow along on social media using #TIPHRoadshsow and #ThisIsPublicHealth. Movie screening and filmmaker Q&A of In the Hills and Hollows: 6:30 p.m. at the WV International Film Festival’s Underground Cinema.Tickets are required. Volunteer Outreach with Facing Hunger Foodbank: 12:00 -1:30 p.m.
For more information or to schedule an event, email Tracie Seward, Manager of Student Services, at tseward@aspph.org.